There was a period a few years back where I really fell out with the found footage horror genre. I felt it had run it's course and there was nowhere else for the genre to go. Then something awesome happened, there seemed to be a second wind for found footage with no end of good to great movies coming out (Be My Cat: A Film for Anne for example). 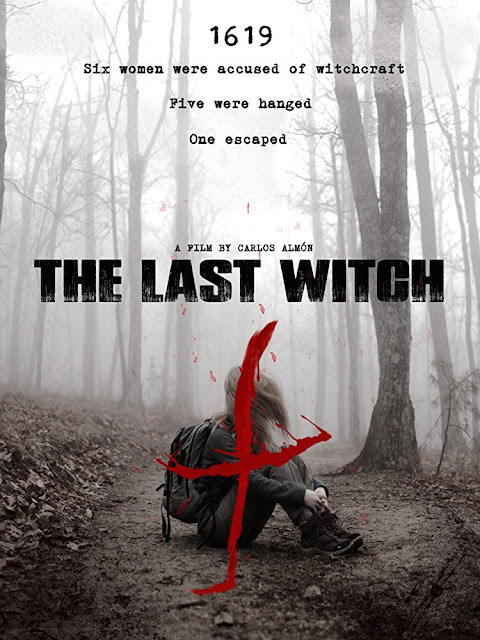 Then there is The Last Witch; a Spanish horror from young director Carlos Almón Munoz that very much represents what I grew to dislike about these types of films. I wanted to like this film, I really did, but it falls into so many tropes of the old style of found footage that I couldn't help but be constantly disappointed. This feels like a lower budget version of The Blair Witch Project, but with none of the scares that film had. Here you get shaky camera work, corrupted camera footage, running around in the dark and plenty of being lost in woodland. They even have a similar set up; two men and a woman camping in the woods in exploration of a legend about a local witch. Where this does stand out is that the Terrassa witch trials were actually a real world thing, there were indeed five women who were hanged, and there is no evidence today of just what happened to the sixth witch Joanna Toy. 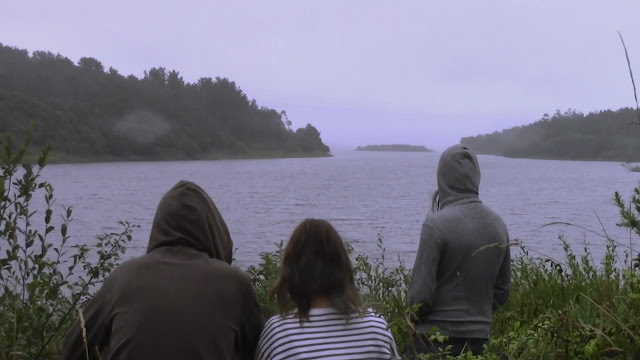 It isn't the first found footage to have horror based on a real event (Hungary's Bodom that was to do with the Lake Bodom Murders springs to mind as one example), however it is neat that research was done to make the film seem more realistic. One problem I had with The Last Witch is how amateurish this feels. To be fair this is an indie film, it has an estimated budget of just €1,000 and so it is impressive that a feature length film was able to be created for that low cost. However when it comes to creating fear this fails time and time again. There is a pretty neat plot thread about a group of modern day cultists who worship Joanna Toy and who are hunting the three friends, yet this doesn't seem to at all perturb them. It gets farcical at one point, the three having camped in the middle of the night wake to see a park ranger being dragged off into darkness by some of the cultists. Rather than be scared the friends react with mild annoyance and just zip up their tent and go to sleep for the night! I liked the three, as always with foreign language films it is hard to judge the acting but they have some pretty fun parts where they are just goofing around (such as Sandra's pig impressions). It makes it seem more natural when the jokes they are making are not at all funny, yet amuse themselves, makes them seem like a close knit group. But then there is the usual forced division type moments when friction is conjured up for no real reason, and there was a later plot twist that I predicted happening very far in advance. Another problem is that I didn't find The Last Witch to be that interesting, in fact I was quite bored for the majority of the run time which was a real shame. There are plenty of scene building moments of the camera just slowly panning around empty rooms. I think it didn't help that the characters were so hardy that they didn't seem to scare easily, instead the more odd things happened, the more irritated and annoyed they seemed to become. When the horror ramps up for the final half hour I'm ashamed to say it made me laugh more than anything. There were a few good moments with the witch character in a house the three decide to spend the night in, but editing becomes an issue with quite a few failed attempts to create jump scares. At one point a character is running through the woods with a camera, at several times a masked figure runs screaming towards the camera...then the camera goes black and it's the next scene with no explanation for how this person is still running unhindered. This same screaming figure did the exact same stunt on at least three separate occasions, it just become so silly, like the actors are trying to scare the audience rather than doing anything cohesive to fit into the world of the film. I can't help but feel disappointed about The Last Witch, I really wanted to enjoy this but it just felt like too much of a throwback. At times this feels like a fan made remake of The Blair Witch Project, and the amount of found footage tropes this uses is dizzying. There are some nice ideas splattered throughout, and I love the Spanish language here, but for me this was a mostly boring piece that was ok, but failed whenever it tried to create any kind of atmosphere. That this was created for such a low cost is commendable though, it would be good to see what the director can do with a higher budget. The Last Witch is available to watch on Amazon Video, POV Horror Roku, and POV Horror Amazon Fire TV thanks to the great people at POV Horror.